A child is said to have diarrhoea when he or she passes very loose or watery stool (faeces) at least 3 times in a day. Diarrhoea is not a disease in itself, but a symptom of an infection such as cholera, rotavirus, shigella (dysentery which manifests as blood in the watery faeces); it can also be a response of the child’s stomach and intestine to a change in diet. Mothers who notice the passage of watery faeces more than 3 times a day in their 5-year old and younger children should never overlook this because diarrhoea is one of the leading causes of death in children under 5 years in the developing parts of the world. And the cause of death in most cases is usually from dehydration: increased loss of water and minerals, such as sodium and potassium, in the watery faeces. 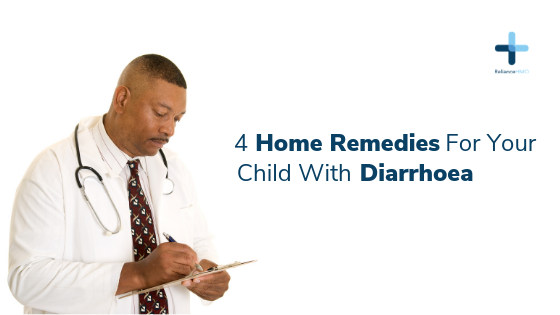 In addition, the child may be vomiting during this period of diarrhoea which can worsen the dehydration. You can do a few things at home which can save your child’s life if he or she is passing watery faeces more than 3 times a day. Give the child more fluids than you normally do. if you can’t afford to buy the ORS and bottle water, you can make use of coconut water, garri water, boiled plantain water or boiled rice water to which you should add 1 teaspoon of salt. In addition to the fluids to correct diarrhoea, continue giving your child foods he or she has been taking regularly as this helps to prevent malnutrition. If the child is above 6 months and still breastfeeding, continue giving him or her breast milk as often as he or she wants. If they are taking other foods, give them cereals mixed with milk, vegetables and other food rich in energy, protein and minerals such as fish, meat, egg, bananas if available. Food should be properly cooked and mashed for easy digestion. Feed the child about 3 to 4 times a day during this period in amounts he or she can tolerate, and continue feeding him or her these foods every day for at least two weeks after the diarrhoea has stopped. If available at a nearby pharmacy and affordable, you can get a zinc supplement, which comes as a syrup or tablets, for your child passing watery faeces. Giving a child having diarrhoea zinc replaces the one that is lost in the watery faeces and reduces the severity of the diarrhoea and the risk of the child having another episode any time soon after treating the current episode. the child does not stop passing watery faeces after 3 days of giving him or her these home-based fluids.